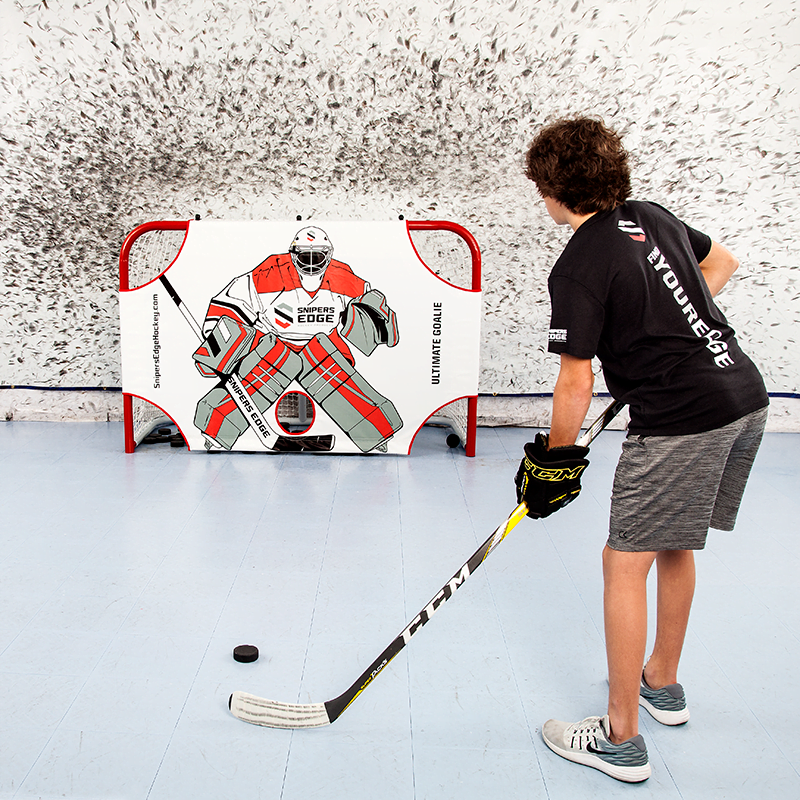 CCM Snipers Edge Goalie Shooter Tutor Hockey Target | Sports Etc. This is the best goalie on the market! Designed with Ballistic Grade Nylon for long lasting durability, players can improve their hockey shooting skills and accuracy at home. With the Ultimate Goalie Shooter Tutor there are no exposed bungee cords to break and this product has a patented “Lift Up Design” that allows for easy collection of pucks. The Ultimate Goalie Hockey Target quickly and easily installs on any regulation size net. 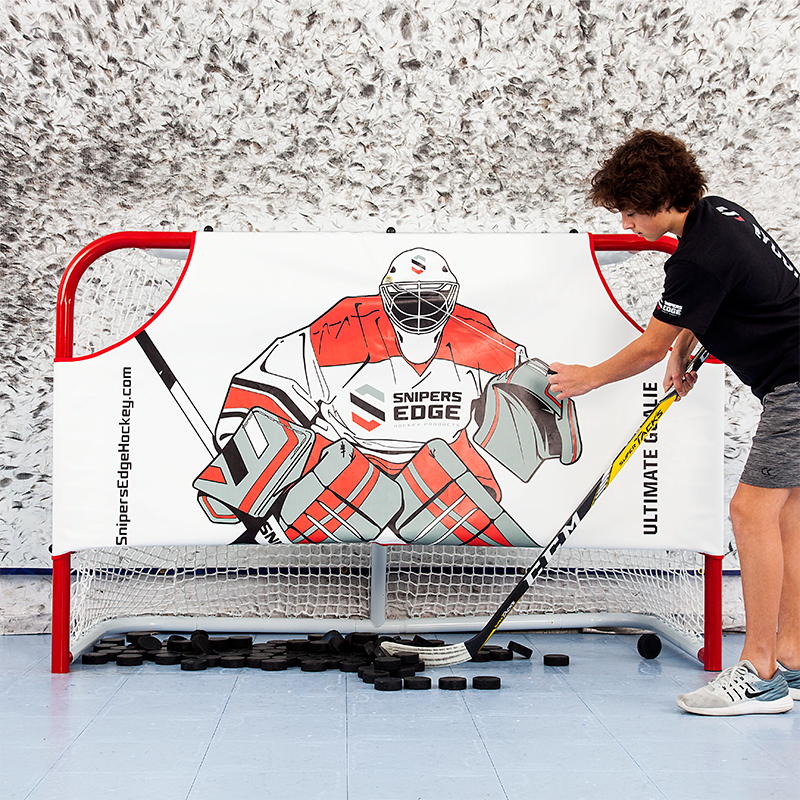 Make the Ultimate Goalie Hockey Target part of your regular practice time and you’ll be sniping the corners and scoring more goals in no time!